Can Bells Palsy Be Cured Naturally with Cayenne? Cayenne is an amazing healing herb. It promotes blood flow and stops pain. Whether it can cure Bell's palsy is another matter. There is very little anecdotal or scientific evidence as to the efficacy of cayenne for treating Bell's palsy. According to the National Organization for Rare Disorders, symptoms develop due to the deficiency of blood supply and pressure on the 7th cranial nerve as a result of nerve swelling." The NIH states, "the facial nerve swells and becomes inflamed." There are a few websites that indicate cayenne is a treatment for Bell's palsy. These claims are possibly based on the fact cayenne is a natural vasodilator and anti-inflammatory agent. Capsaicin is the active ingredient in cayenne that gives it the heat. It is also the main vasodilator and anti-inflammatory compound. A vasodilator is an agent that widens blood vessels and relaxes smooth muscle tissue in the vessel walls. A report presented at a meeting of the American Chemical Society a few years ago explains capsaicinoids, "block action of a gene that makes arteries contract restricting the flow of blood..."
Another way capsaicin might help with Bell's Palsy is by inhibiting inflammation. One study reported in Science Direct noted capsaicin exhibits anti-inflammatory properties. Although there are no current studies or scientific evidence suggesting cayenne will cure Bell's palsy, if you wish to try this remedy, there are some things you can do. However, it's important you talk to your primary health care provider before using this substance for Bell's palsy or any other condition. If your doctor agrees it's worth trying, consider using either creams or capsules. There are a number of creams available for the treatment of arthritis. These would also be the creams to use for Bell's palsy. The Mayo Clinic has a list of brand names and descriptions you can look for. Amazon carries Capzasin HP, which sells for approximately $25. Walgreens caries a capsaicin cream, but the prices vary from store to store. Some prescribed creams run into the hundreds of dollars. To use these creams, apply a small amount to the area behind the ear on the affected side. This may help reduce inflammation and increase blood flow to the area. Cayenne capsules are readily available over the counter in many pharmacies and natural health stores. Amazon carries Nature's Way cayenne capsules for under $7. GNC carries tinctures and capsules priced from $9 to $21. Walgreens carries Nature's Way cayenne capsules for approximately $8. Take these capsules orally. Dosages will vary according to manufacturer specifications. Cayenne is generally viewed as safe. There are some cautions when using this spicy herb. According to WebMD, cayenne may have side effects and cautions. You can also make your own topical cream. Everyone reacts differently so if you're making your own lotions and creams, remember less is more. You can always increase the amount of cayenne but using too much can cause burning and blistering of skin. Likewise, whether you have purchased or made your own, never apply cayenne directly to broken tissue. Long term use of cayenne supplements is not recommended. People on blood thinners, or those who are pregnant or breast feeding should also avoid cayenne supplements. 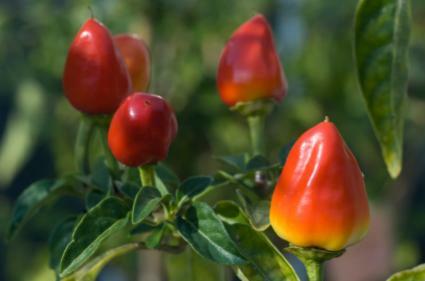 At present, no evidence exists to suggest cayenne is a cure for Bell's palsy. In fact, there are no allopathic or alternative cures for the condition. However, research is ongoing. There is no published research into this topic, and no studies exist that report increased blood flow assisting in cases of this disease. There are some studies that indicate that microcirculation of blood is affected by Bell's palsy and can be used to determine the course of the disease. It is possible cayenne treatment using supplements or creams may increase blood flow to the affected area. It is also possible that using cayenne would decrease inflammation in the area leading to a reduction in pain. If you find yourself with any symptoms associated with Bell's palsy seek medical treatment immediately. These symptoms may also be an indicator of a stroke. If you are diagnosed with Bell's palsy, discuss the use of cayenne in your treatment regime with your physician.